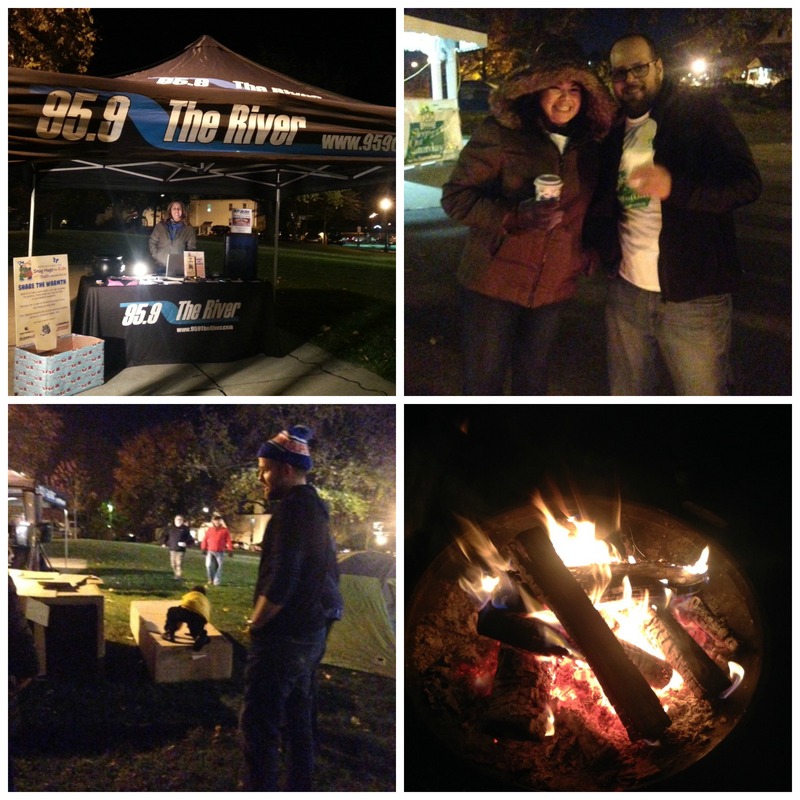 #SleepOutSaturday 2015 Recap: You Made THIS The Day! This past Saturday, November 7, 50 groups comprising nearly 2,000 people decided that THIS is the day to help homeless families in DuPage County. 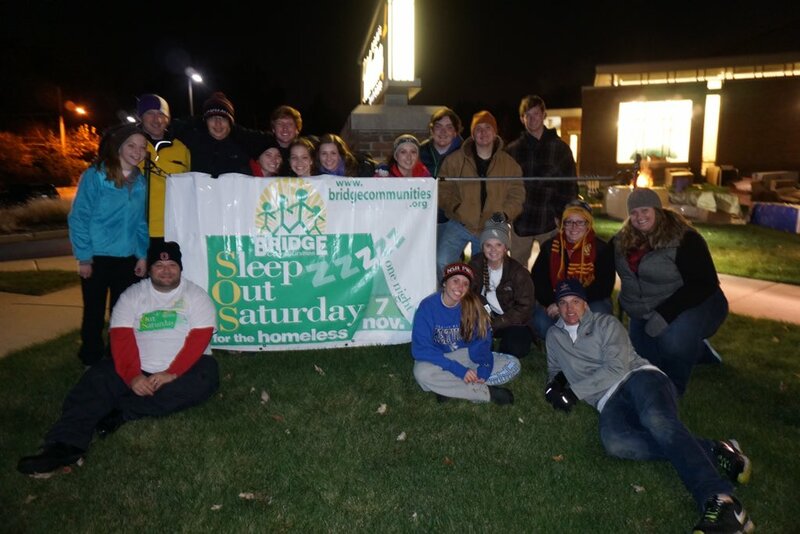 All of these concerned and caring citizens joined Bridge Communities in the 12th Annual Sleep Out Saturday, and the experience was unforgettable. 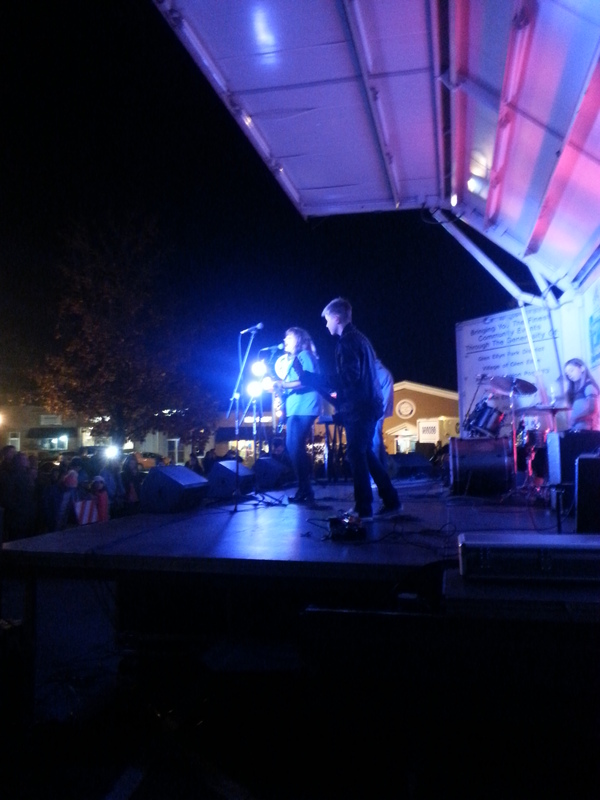 The evening started with the first-ever Rock Out for Sleep Out benefit concert to begin the rally. This high-energy event featured musicians from School of Rock’s Glen Ellyn and Elmhurst locations, and they played their hearts out to the huge crowd of SOS groups and community members alike. “Rockin'” is an understatement! Next on stage was the event’s emcee, Judy Hsu, anchor at ABC 7. 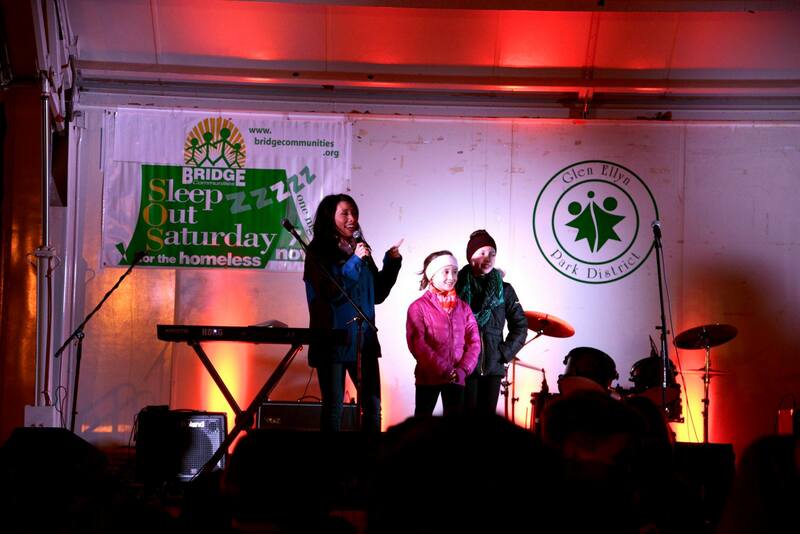 She kept the excitement going and introduced the crowd to two courageous Bridge families who have experienced homelessness and come out stronger on the other side through your support of Bridge Communities’ transitional housing program and events like Sleep Out Saturday. 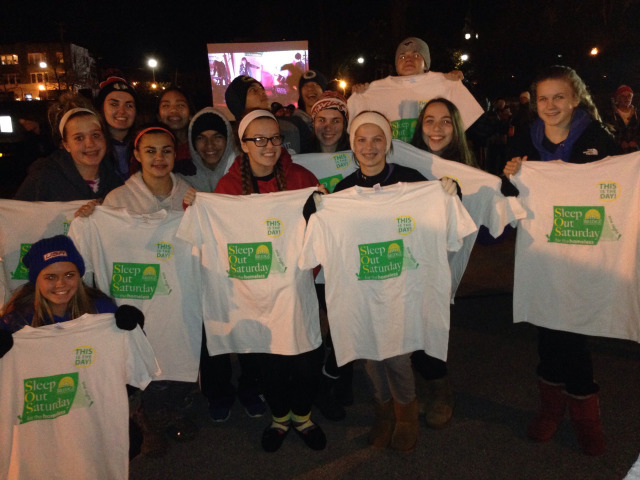 The rally concluded, and the sleepers dispersed to their Sleep Out sites across DuPage County. The groups made their shelters, participated in activities and gained more empathy for the homeless when faced with the prospect of sleeping rough in the 30-degree weather. Across the county, SOS participants woke up with their fingers and toes a little colder, but their hearts a little warmer after the experience. Check out #SleepOutSaturday on Instagram, Twitter and Facebook to see all the groups’ posts of photos and experiences from throughout the event! Thank YOU for joining us–this event means that the 130 homeless families served by Bridge Communities will gain all the tools needed so that they’ll never be homeless again. Because of you, they’re connected to a better future. To learn more about how you made a difference and still can, visit http://www.sleepoutsaturday.org. Thank you!